The British Keelboat League (BKL), in association with RS Sailing would like to welcome Kingfisher Yacht Ropes as a RS21 boat sponsor for this year’s competition! “The opportunity to showcase Kingfisher Yacht Ropes on a British Keelboat League RS21 was an easy decision to make. The BKL has an exciting calendar across the country and with the amazing RS21 as the boat of choice, we can only see the league being a fantastic success. The RS21 showcases our premium evolution dinghy ropes and together with RS Sailing, we have produced a high performance rope package, that also looks amazing on the boat. 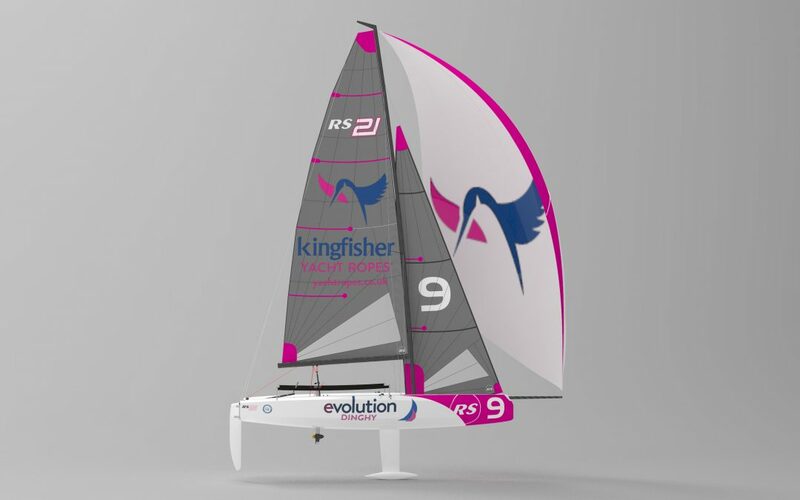 We are excited to see the Pink Kingfisher Yacht Ropes RS21 on the water soon and we are looking forward to visiting some of the national events.” Nigel Saddington, DSM Group Partner. Kingfisher Yacht Ropes was established as a brand in 2002 and it has developed into one of the most recognised names for ropes throughout the sailing industry with a wide range of products. Find out more about their innovative rope products by clicking here. RS Sailing are looking forward to seeing the next BKL RS21 wrapped by Kingfisher Yacht Ropes out on the water in a couple of weeks time at Ullswater Yacht Club. There’s still time to enter the qualifier events, to get involved head to the British Keelboat League website to find out more. For any prospective sponsors who would like to be involved in this event, with exposure across the United Kingdom, we have one boat available. Get in touch with our Keelboat Manager Steve Dean on 07938450401 or steve@rssailing.com.